Hey Guys, We have comes up with another loot deal in which you can get Rs. 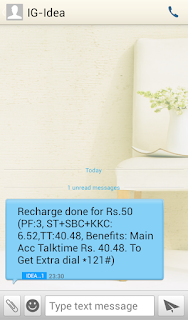 50 Free Recharge Coupon just by investing Rs. 5. Valid Only for IDEA users. 1. 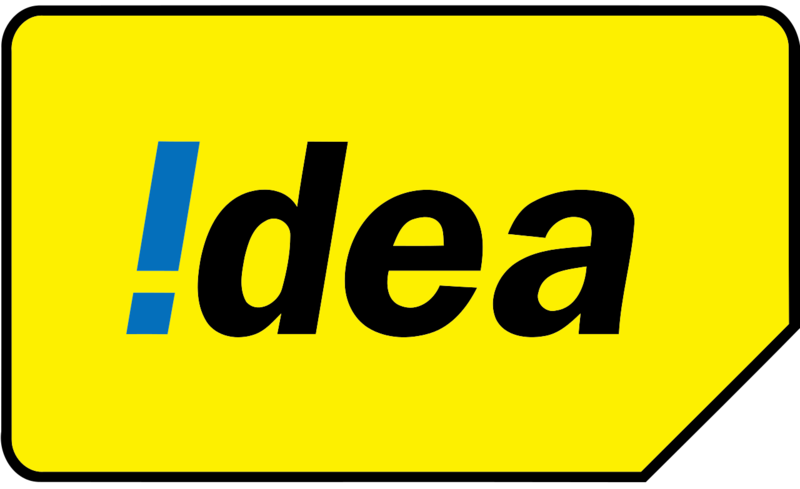 Just Dial *563*5# From Your Idea Sim & Wait For A Confirmation Message (After 1 Or 2 Seconds, You Will Get That Message). 2. Reply It With '9'. 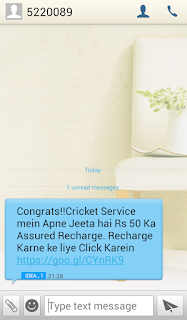 Your 'Cricket Pack' Will Be Activated In Few Minutes & You'll Get A SMS For The Same. 3. After Following All The Above Steps, Just Wait For A Few Hours & You Will Get A Message Containing The Assured Rs.50 Recharge Coupon. 5. Open This Link and Type Your Phone Number. 7. Now Click On Submit button. 8. That's it Your recharge done in few minutes. 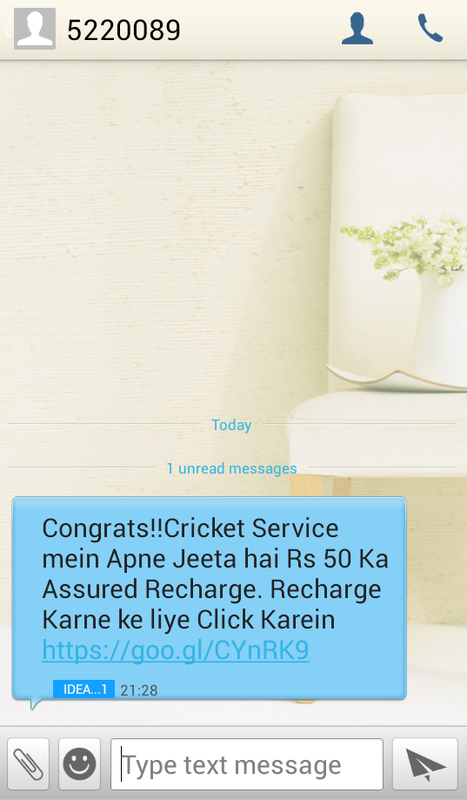 After Getting Recharge, Deactivate This Offer By Sending Message STOP To 155223. 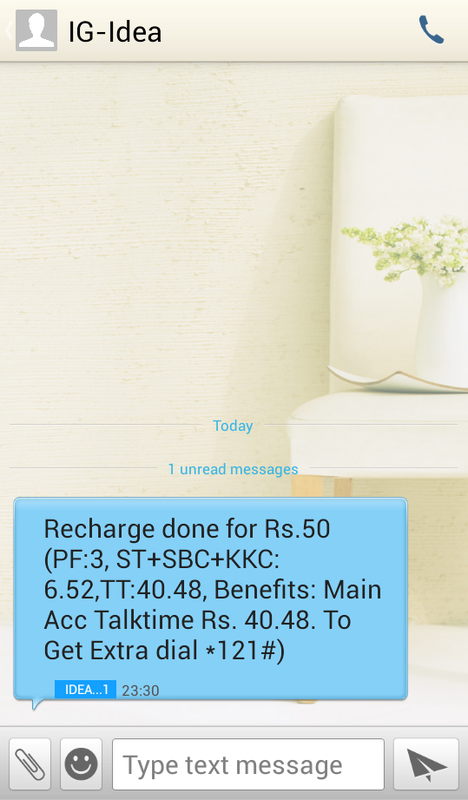 One Number Can Receive Recharge Only Once. Valid Only For Idea Users.